The question of how we should respond to electronic cigarettes has divided the public health community. Passionate advocates on either side use the same information to conclude either that these devices could significantly reduce the smoking rate, or could undermine decades of progress in youth smoking prevention. Developing an appropriate response to e-cigarettes is a difficult balancing act…. Vaping – A lesser Evil to Tobaaco? Smoking destroys your health. Despite the well-known consequences of smoking, smokers struggle to quit the addictive nicotine found in a rolled-up tobacco. Yet it’s the burning of tobacco that releases thousands of toxic chemicals that cause the most damage, not nicotine. In contrast to tobacco cigarettes, electronic cigarettes provide nicotine without burning tobacco. So would e-cigarettes help reduce the harm brought by smoking tobacco or are they just as bad as tobacco for public health? It seems that insanity reigns supreme pretty much everywhere you look these days. From the incredibly bizarre rulings down under to the outrageous propaganda emanating from the US. Nothing in the realms of tobacco harm reduction or e-cigarettes is left alone. So you’d be forgiven for thinking that the insanity couldn’t get much worse. But it has…..
What are the research priorities for e-cigarettes? On Thursday 28 May, the second of two workshops on e-cigarette research priorities will be held with a focus on the outcomes arising from e-cigarette use, including e-cigarette attitudes and behaviours, and longer-term health outcomes. The meeting is organised by Cancer Research UK, British Heart Foundation, Department of Health, Economic and Social Research Council and Medical Research Council. 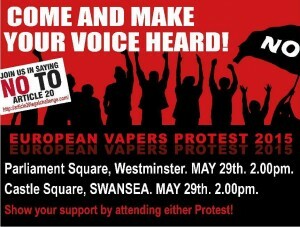 It is predominantly a scientific gathering, but I will be going and several vapers have been invited to contribute views…. For those with short memories, this was a ruse imagined in 1975 by Sir George Godber to promote a policy of “fostering the perception that secondhand smoke is unhealthy for nonsmokers”, after which the tobacco control industry set about creating the junk science to go with it. Dry-burning metal coils: is it a good thing? There has been a lot of discussion about my statement during the RY4 radio interview on Friday May 22 concerning the dry burning of coils. This is a process in which vapers prepare the coil and then apply a lot of power to the bare coil (with no wick or liquid), heating it to the level of glowing red…. E-Cigs Versus Traditional Tobacco-What’s Worse? Ironically, despite having the healthier e-cigarette alternative at hand, many are choosing to continue smoking conventional cigarettes. 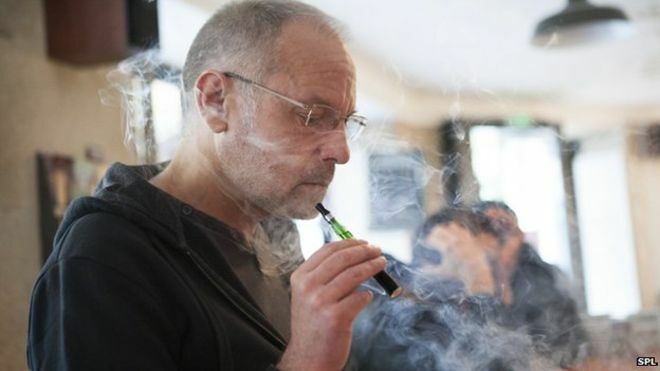 Authorities think this may be because they mistakenly believe that e-cigarettes are as dangerous as their traditional counterparts…. This study examines how e-cigarettes are addressed in GLOBALink, an online international tobacco control community. We seek to discover if the pattern of activity in e-cigarette discussions changes over time…. The New England Journal of Medicine just published a smoking cessation studythat measured how financial rewards and penalties affect quit rates. While the study generated moderate media interest (examples here and here), the big story was buried deep in a supplemental table: the quit rate was always abysmal….